Just a small post, but one i’ve been looking forward to making this past week. 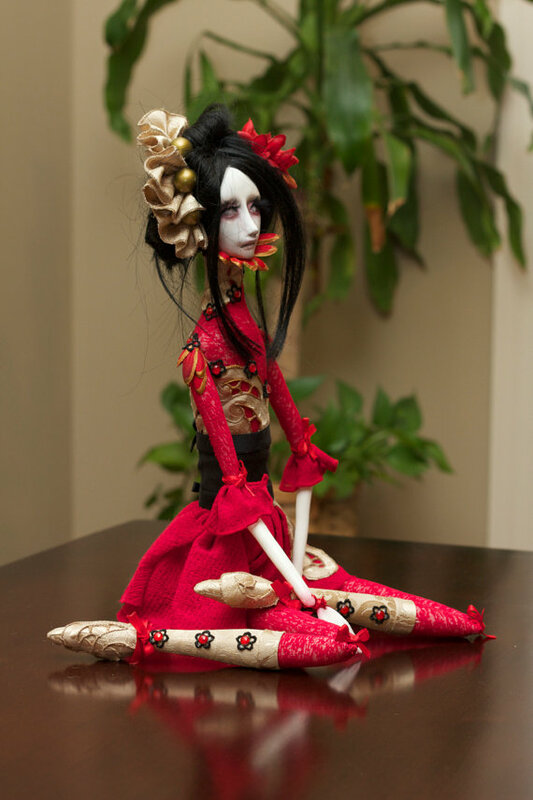 I have finally completed the second of the doll familiars, raising the spirit of this clay up to act as my secondary familiar (the first was empowered for someone else). It was sourced from the same artist as mentioned previously, whose work I am a very large fan of! The actual write-up for this process has began in the usual physical journal form, and will be writing the basic outline of my take on this process as soon as is able. It will be great to get this online, as the process and practice I feel is intuitive – the knowledge comes from without, from the spirits and when put into practice and manifested, basic but effective. I have unfortunately however broken my thumb, so it might take awhile to get it into a document format that I am happy with as it has made typing difficult. This is doubly true in such workings: I have to effectively depersonalise my notes, to ensure that the framework survives intact whilst ensuring that it is distinct from my own familiars. Actually working and forming a further relationship with the new familiar and sorting out my own practice also has to come first, but thought it would be worth detailing what is on the way and that progress is being made. I have also noticed that recently several more people have followed, commented on the blog, and gotten in touch via email. It is always great to speak to more people, whether of differing traditions or those specifically interested in Luciferianism and the Path of Flames. I’d like to thank you all for the support and interest, and look forward to speaking to you all further. May the new year bear fruitful works for us all!